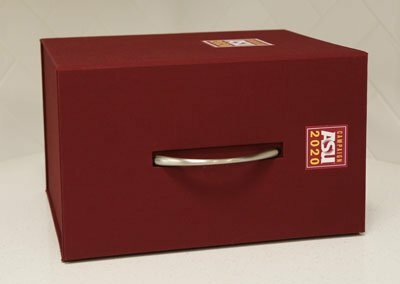 This custom presentation box houses a complete set of brochures highlighting “Campaign ASU 2020” unit case statements, big ideas and overviews. 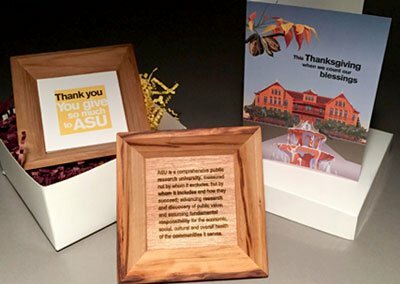 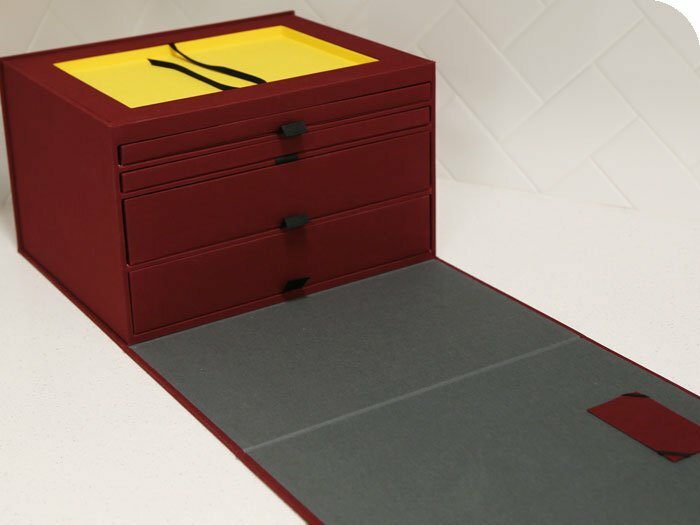 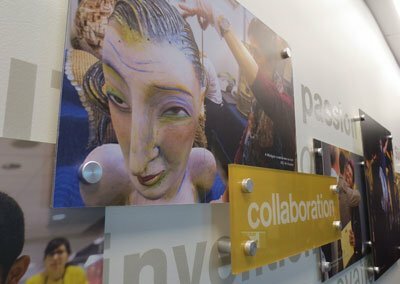 Lori worked with Roswell Bookbinding to create this unique presentation box for ASU. 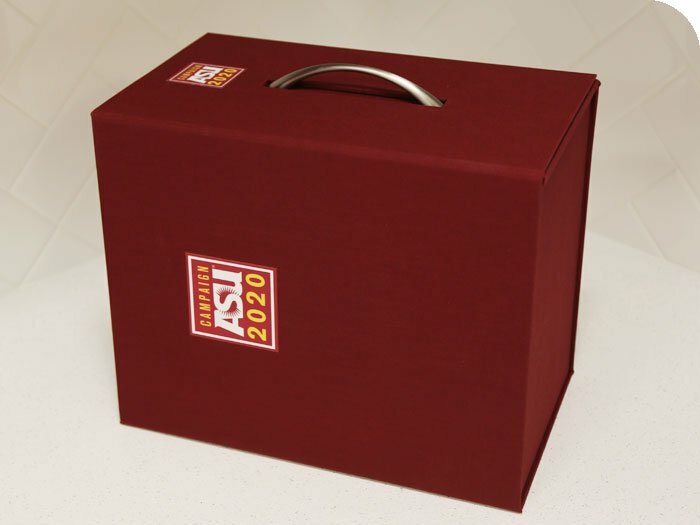 After the initial order of 12 custom boxes, 25 duplicate boxes were ordered due to the overwhelming favorable response by leadership. 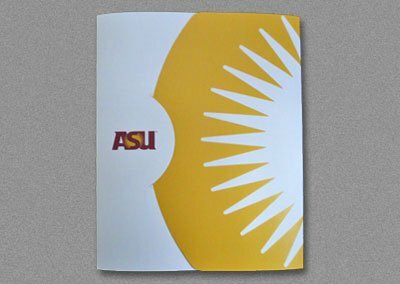 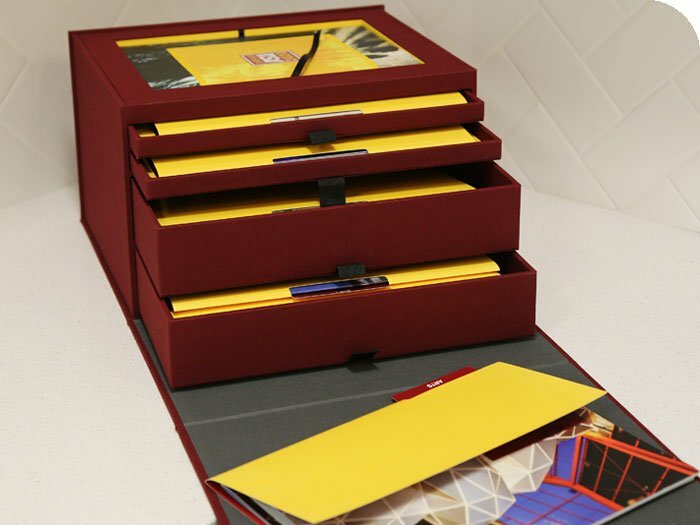 This presentation box is used by ASU Enterprise Partners and others to present information to prospective donors to Campaign ASU 2020. 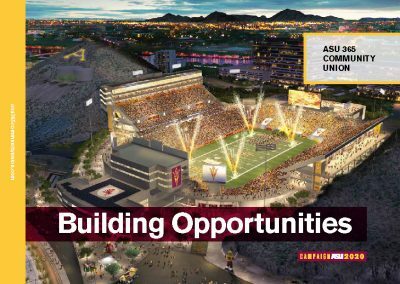 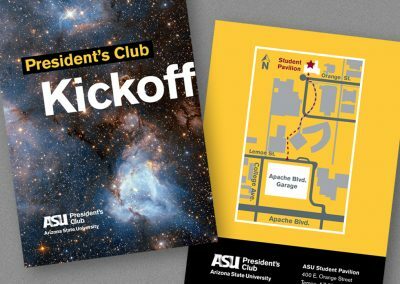 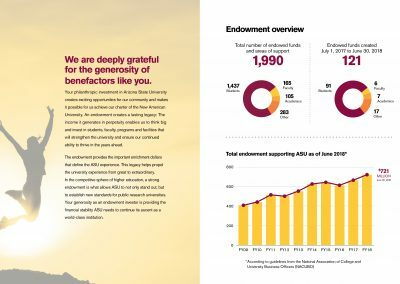 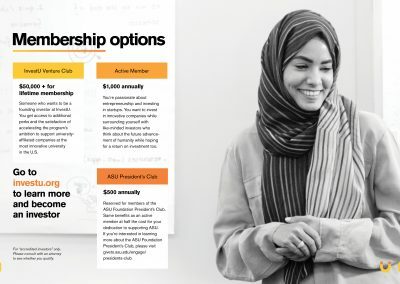 Campaign ASU 2020 is a strategic effort that will focus the entire university’s development energies on one goal — to permanently raise the long-term fundraising capacity of the university. 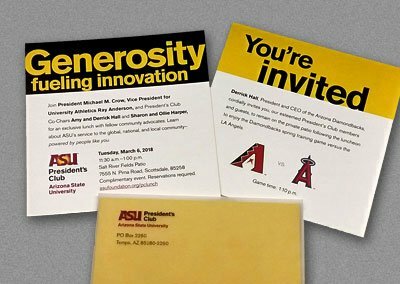 The donations will fund scholarships, faculty research, labs, projects to ensure that students succeed to graduation, arts initiatives and ventures in the community.